Tallman Tire & Auto Repair has been a staple of the Suffern, New York area for years and counting. We provide automotive repair services, new tires, and wheels for customers in Suffern, NY, Ramsey, NJ, Mahwah, NJ, and surrounding areas. At our family-owned business, we keep you, the customer, and your vehicle, in mind. We believe in doing it right the first time, treating every car as our own. Whether you're looking for auto repairs, custom wheels, or tires from the top brands on the market, call us at (845) 357-7070. We're always happy to help, and it shows. We do it right the first time at Tallman Tire & Auto Repair. We offer a wide range of auto repair and maintenance services for customers from Suffern, NY, Ramsey, NJ, Mahwah, NJ, and surrounding areas. As a family-owned business, we understand the importance of treating your car like it’s our own to keep your loved ones safe on the road. You can count on our qualified technicians to provide the highest quality workmanship on every automotive service. 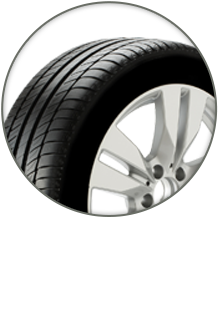 As a tire store and service center, we carry tires from respected names like Bridgestone, Firestone, and Fuzion. Like to go off-road or looking for ways to customize your vehicle? See us for lift kits, leveling kits, and lowering kits. We're open Monday through Friday 7:30 AM – 6:00 PM and Saturday 8:00 AM – 3:00 PM. U-Haul rentals are available at our location. Schedule your service today. Follow us on Facebook to keep up with the latest specials and automotive care tips.